My favourite type of beauty products frequently switches between skincare and makeup. Currently, I’m all about finding the best skin treats that work for me. The better my skin is, the less makeup I feel like I need to wear. Plus when I do opt for a heavier coverage, it sits much better on a smooth, hydrated base. I ordered a couple of new things from Cult Beauty – both products that have been on my wishlist for a long time now. Does anyone else keep a list of what they’d like to buy? It was so satisfying to tick these off! First, I chose the Rose Hip Oil from The Ordinary on Cult Beauty. I’m totally back into facial oils. As someone with dry and dehydrated skin, there is nothing better than a rich oil to replenish the oils my skin lacks naturally. 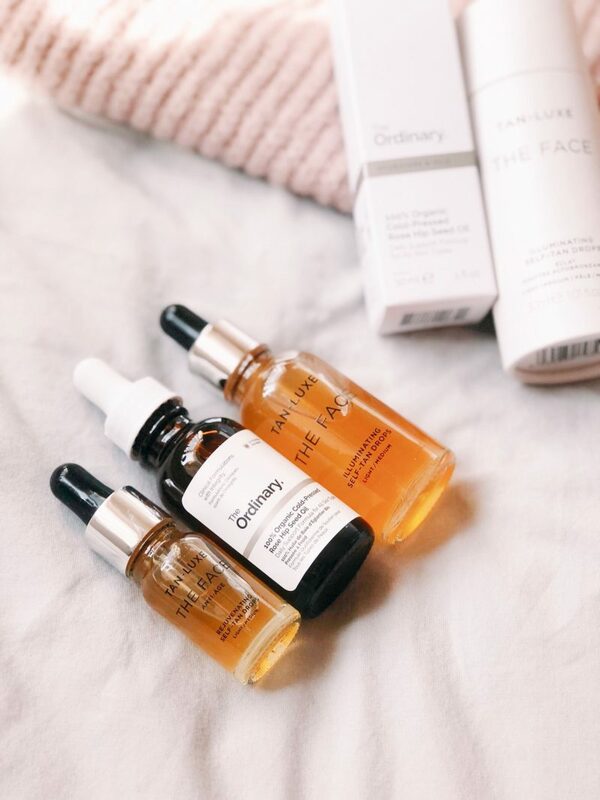 I’ve been using the Balance Me Rose Otto Facial Oil and absolutely loving it – I’ve used it morning and night for about 2 months and honestly, the dry patches on my face are gone. So impressed! It isn’t the cheapest oil though, so I decided to see what The Ordinary, one of my favourite skincare brands, had to offer in the oil department. The Rose Hip oil is thick and orange looking, so probably terrifying to anyone who wants to avoid oily skin. However, my skin adores this oil. It literally drinks it up. I’ve used it for around a week now, and every morning my skin feels plumper and nourished. I read plenty of reviews before purchasing and it truly does live up to it’s reputation. If you need an effective facial oil on a budget, I definitely would recommend The Ordinary’s Rose Hip oil. I can’t speak for all pale-skinned guys and gals out there, but I know I personally feel more confident going bare-faced when I have a bit of a tan to my skin. Redness seems hidden under a sun-kissed glow, so I’ve been on the hunt for a good facial tanner for a while. 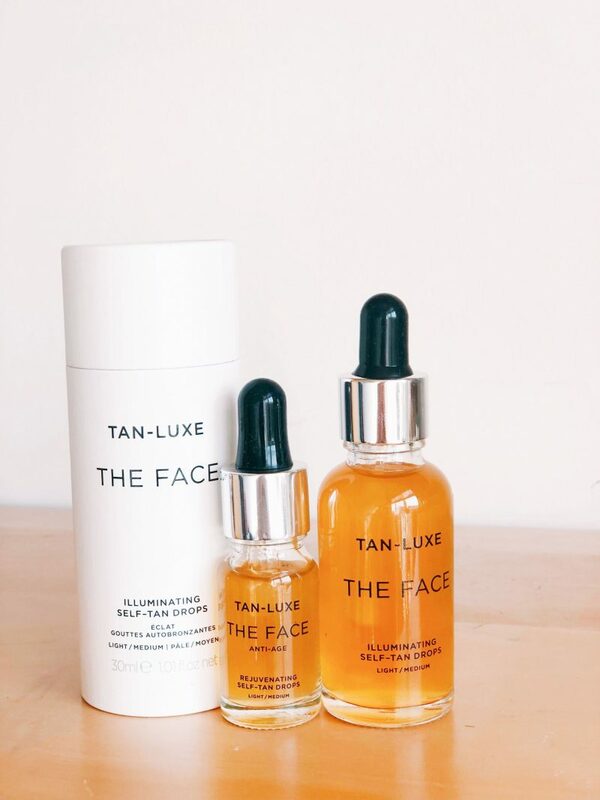 I kept hearing people mention the Tan-Luxe facial drops, so I decided to look into them. Cruelty-free and non-toxic, the brand is all about using oils and lotions to create your perfect tan. They had me at cruelty-free, so I decided to try out the famous self-tan drops. The drops aren’t the most affordable, at around £35 for a bottle, but I do believe this will last quite a while. The idea is that you mix 2-4 drops into your usual oil, serum or moisturiser to get an even, tanned complexion. 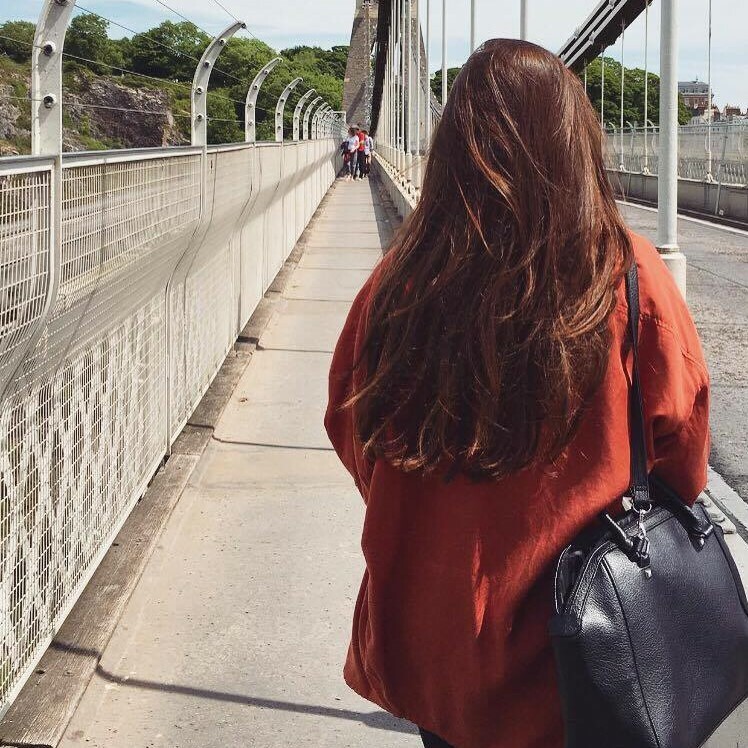 So much about this products appeals to me; the fact that you have complete control of how much you add, along with the fact that it isn’t drying – you simply add it into your usual routine. Again, I’ve had a week’s worth of use of the tanner. I have so many thoughts to share so I have a seperate blog post in the making reviewing this product in full. What I will say for now though is that I am seriously, seriously impressed. The real proof? I haven’t worn any base makeup since I first used it – and that is coming from someone who wears foundation and concealer pretty much every day. If you want to tan your face without the risk of uneven colour or dryness, the Tan Luxe face drops might be just what you are looking for. Have you tried either of these Cult Beauty finds?